A lack of backwards compatibility could mean that this console generation is far from over. Backwards compatibility has been common for modern consoles ever since optical discs became the gaming delivery system of choice. For gamers, this is a good thing, as it provides customers with access to an extended library of launch titles while ensuring that classic system owners can play their games years later. In that context, launching a console with backwards comparability seems like a no-brainer. EA's chief financial officer Blake Jorgensen, on the other hand, is of the opinion that we probably shouldn't expect it for this upcoming generation. If that's the case, Jorgensen predicts that current generation sales will remain strong well into 2014. "The reality is, is that fiscal year 2014 will still be a fairly large [current generation] if there's a console business that comes in at the tail end of the year," Jorgensen says. "An important thing to remember is that next-gen consoles will most likely not be backwards compatible ... and if you [play] multiplayer on a game, you'll most likely not be able to play with someone on a different generation." Jorgensen is likely referring to rumors that backwards compatibility would not be included in the PS4, which is a valid concern. Given how prominent online components are to modern games, full backwards compatibility would require console publishers to account for cross-play between systems, which is more complicated than simply giving away select Vita versions. For this reason, Jorgensen expects most EA players won't feel the need to upgrade their systems for another full year after the new consoles launch. Jorgensen uses sports games, one of EA's biggest markets, to make his case. "A lot of our titles are built around sports calendars," Jorgensen explains, "And so a FIFA, a Madden, an NCAA, an NHL title, all come out aligned with the sports calendar. And if a next-gen console doesn't come out until next Christmas, most people won't wait ... If they all hold on and continue to play on third-generation, you'll probably not see that box purchase until after the soccer season's over." 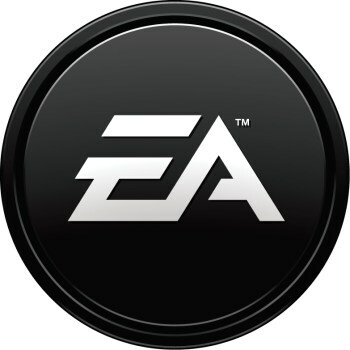 In the long run, Jorgensen believes this is beneficial, because it will allow EA to generate profits simultaneously across two console generations. Perhaps he's right, but it could just as easily stall the growth of a new console generation as it faces competition from the Steam Box, Ouya, and ever-dying PC platform. We'll hopefully find out a little more on the prospects of backwards compatibility when Sony makes its might-be-a-console-announcement on February 20th.